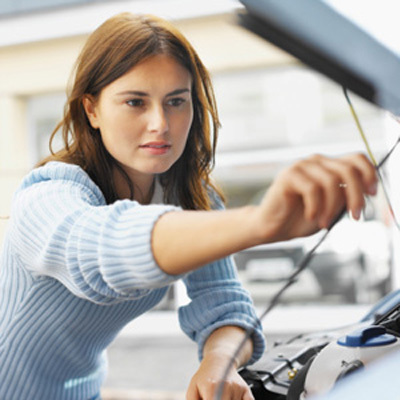 AutoVaun Is Here To Help You in Mesa, AZ!!! Stop by AutoVaun located at 5015 E McKellips Road Mesa, AZ 85215 or call 480-807-6555 to talk to one of our friendly and professional technicians. Honest efficient and straight forward, they were willing to walk me through the work needed and answered all my questions. We have been going to Autovaun for years, they are outstanding. They are not a discount service center so do not expect to save money over a dealership, but they are truly honest, there have been many times where a dealer told me one thing, with multiple items needing to be replaced and at a huge expense and autovaun found and repaired the actual single broken part. We have never had an issue with any work done and all the repairs have lasted us. They filled my AC with freon and put in a dye that would let them know where the leak was. Since it was leaking I had them fix the ac. While there they noted my check engine light was on, explained to me it was most likely the catalytic converter and called the dealer finding out it was still under warranty. He told me to have them run a diagnostic. Sure enough, the catalytic converter needed to be replaced and everything was covered. I really appreciate Autovaun for going above and beyond to help me out like that. Quick in, low wait time, and quick out for headlight bulb replacements. Saved me over $100 instead of going to the stealership. I would definitely come here again . Care (oil change/maintenance) for our two vehicles. "Service with a smile." Over the past few years Autovaun has taken care of pop-up problems with our vehicles (Camry and Buick... older models) with fair prices, timely service and a family attitude that beckons us back...and we go. I trust these folks... and that's not an easy thing to do nowadays with car repair shops...whether it be at dealerships, franchises or independents.... YUP... highly recommended! Thanks Autovaun!! Have taken our cars to Vaun's for several years. They are friendly and helpful. The prices seem far and they have always stood behind everything they do. They are honest and will tell you if something that needs repaired can wait for a bit or is emergent. Our family has taken our cars to Autovaun for about ten years. They have always been courteous and personable. We are very protective of our vehicles and the team at Autovaun are too. They are extremely fair in their pricing. They recommend any maintenance that should be considered while also providing an explanation to the effects on the vehicle if the service is not performed and or how long (distance) until it will become a problem. In other words, they are hyper-vigilant about customer costs. Had upper and lower control arms replaced on my 99 Chevy van at a GMC dealership. Drove it down the highway and it was drifting to the right. Took it back to the dealership. They adjusted the alignment but it still drifted to the right. They told me to go to a frame shop...my frame must be bent...nothing more they could do. Within an hour...Autovaun professional tech had my van perfectly aligned. Thank you guys for blessing my sock offs. Great job! A regular customer for 4 years now, I continue to return to AutoVaun because they consistently provide a positive experience. The staff are welcoming and knowledgeable, and offer a level of customer service rarely seen any more.